Hey dolls! First off I got a new laptop! After weeks with no personal computer I'm so happy to have one again. This of course means my daily blogging will resume again, yay! If you have any request for future blog posts feel free to leave a comment below. I actually made a list of blog posts I wanted to do while I was laptopless so you guys can look forward to those coming soon! Anyways, on to the real reason behind this post. I have a mini eBay haul to share if you all. As you guys know I'm sort of addicted to eBay (I buy like 60% of my things from there) so I decided to show you guys some cute things I recently got. Enjoy! 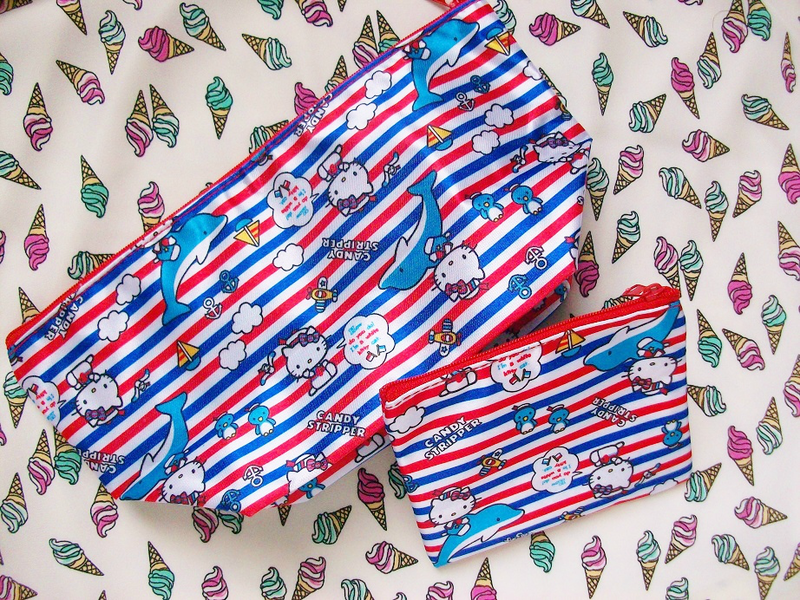 I picked up the recent issue from Zipper (my favorite Japanese magazine) and with it came this Hello Kitty x Candy Stripper makeup bag and coin purse. So cute! When I order the Zipper magazine I ask the seller if they would find me the Baby Skin pore eraser primer and they did! I am super happy about this because you can't find it in the states yet. I will do a review on this really soon! 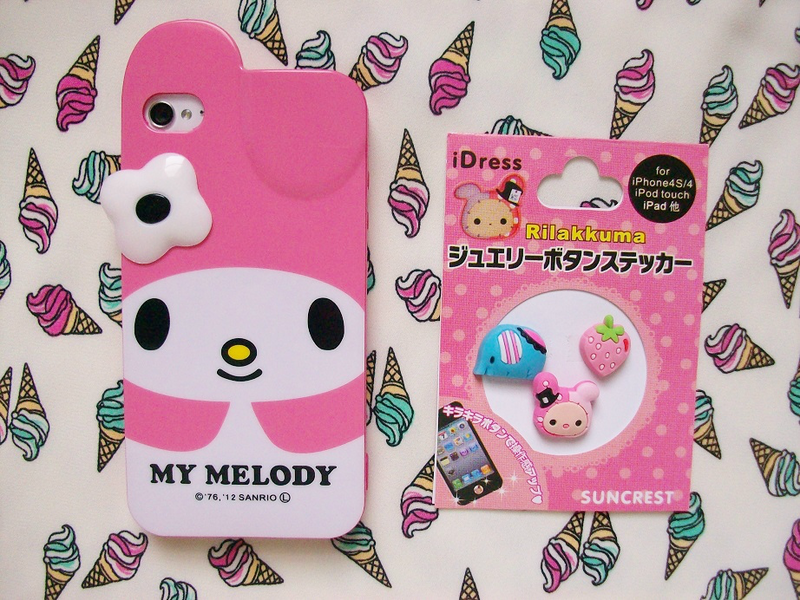 I also decided to add some cuteness to my phone so I bought a My Melody case and some button stickers. My phone has never looked so kawaii! P.S. Sorry if the pictures look kinda if weird. I am still trying to get use to my computers editing software.